Bliss is a re issue of a medieval historical era romance that was first published in 2001. I am a huge fan of this author, and her historical’s are so lightehearted and fun to read, and not books you should take seriously, they are just a relaxing respite. At first I thought I had read Bliss many years ago, but I remember setting this aside, because I just wasn’t in the mood for this type of angst romance. Its not your typical angsty romance, its pretty hilarious at times. This couple they are a hoot especially in all the tricks they play on each other. So the gist of the story is, that both Lord Holden and Lady Helen are at odds with each other, constantly complaining to the King about their problems. 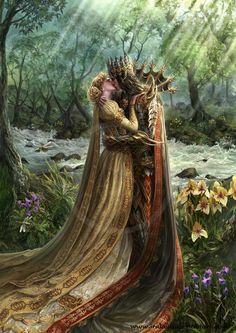 Well, the King is tired of getting numerous complains about these two parties, so he and his advisor come up with the idea that they should marry, and that way it would solve his problems. So these two are to marry and while settling the “agreement” Helen comes up with the idea that she can’t marry Lord Holden, and starts to play horrible tricks on him. Eating cloves of garlic so her breath makes him never wanting to kiss her, cooking his food so its hard as rocks, spoiling his wine and even pushing his fear boundaries. But Lord Holden isn’t a pansie, and plays his own tricks back. And boy does he do a good job with it too. He definitely holds his own again Helen especially she is the one that starts these tricks. You see at the beginning why Helen holds such an animosity toward Hethe. Its basically a misconception about his actions towards his tenants, which she has had to take in. But as the story progresses, we learn that the problems in the very beginning of the story, that causes their conflict has more to do with actions of a third party. But boy is it fun seeing this couple battle each other’s wills and passions. I will say that once it got to about half way, their relationship started to mellow out, and this is where I started to really become captivated by this pair. They begin to see certain truths about each other, and act on their growing feelings for each other. The small and gentle ways they begin to let go of their anger and frustation towards each other, and begin to have more understanding and caring towards each other is what really wins me over. Now don’t get me wrong, the first half of the story is highly entertaining and I guarantee that it will make you laugh at their antics. But we also see other sides to their relationship, and even the way they learn early on to admire each other. I will say that even though there were many aspects of the story I truly enjoyed, I felt like the lightheartedness in the beginning and humor was a bit too high strung for me. I enjoyed it quite a bit, however I did struggle at times with this story. I wasn’t able to fully connect with the story as much as I wanted to. There are many wonderful aspects to this story, but I did have a more challenging time engaging with the characters occasionally. 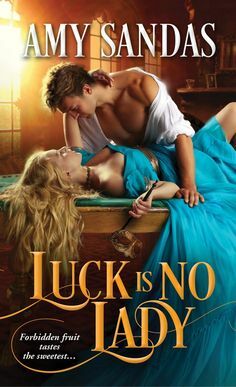 Overall Bliss is a wildly hilarious romance that will give you barrels of laughter, and delivers a witty and intrigue packed romance of the medieval era.